Welcome back to another episode of The Twister, a quiz with a twist. We find some random object on eBay/craigslist/reddit and you get to figure out how to make it better. 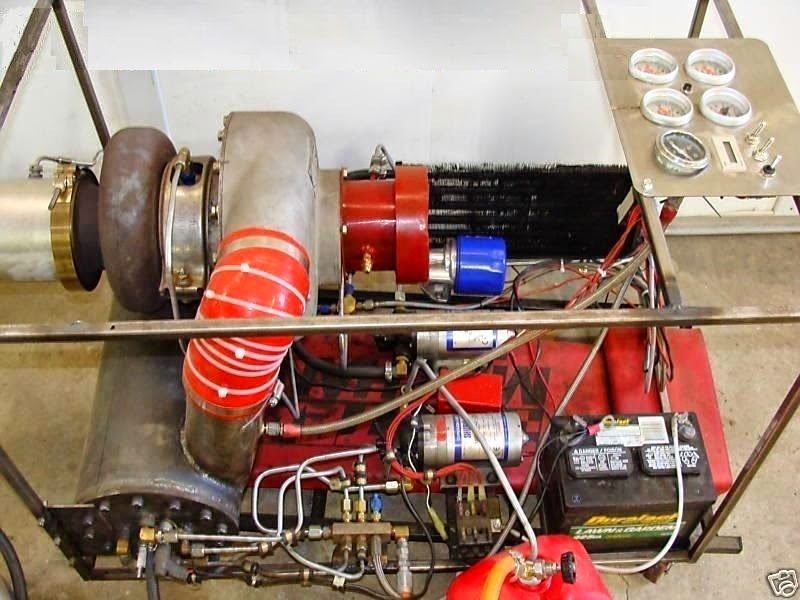 Today's random object is a home-brew jet engine kit, built from an automotive turbocharger, fuel pump, and combustor-- find it here on eBay listed for $1,100 buy-it-now. What would I do with it? Easy. Mount it in the trunk or passenger seat of a non-turbo car (maybe a Saab 99?) and run a bleed air line from the compressor into the intake on your internal combustion engine. Presto, instant boost! No turbo lag, no parasitic supercharger load, just instant and free extra air shoved into the vehicle of your choice. Sure, it'll burn extra fuel, sound like an airport 24-7, and probably only be able to provide a few psi of boost...but, imagine using an airplane thrust lever to spool up your turbo at an intersection filled with people driving semi-autonomous hybrids. What would you do with this home brew "jet" engine? Okay - who bought it? Someone who recognized that building the combustor alone would cost the asking price!! But not me, I swear.